How important is the dryer in your home? Many people use these appliances every day. In the hustle and bustle world of today, you need to dry your clothes quickly. Not every person has the time to hang their clothes out on the line. If your unit breaks down, call us for same day dryer repair in Chatsworth, California. We will send an experienced tech out to your home on the double. Our technician will find the problem fast. We will fix it as quickly and accurately as possible. You can enlist us to service any dryer make or model. Contact us today for fast and reliable dryer service. You can count on our company to administer dependable dryer installation. We have installed a variety of these units over the years. You may be physically able to install your own appliance. You may have plenty of time to perform the task. You may even have the skills to do a wonderful job. But many people rely on help from a trained pro. Our crew is friendly, helpful, and there to make the job easier for you. We connect the dryer vent correctly and make sure everything is working fine. 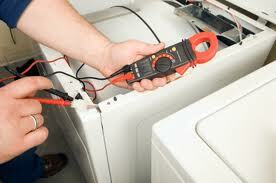 At Appliance Repair Chatsworth CA, we specialize in same day repair service. Our certified pros are qualified to service all home appliances. We excel and fixing dryers and washing machines. There is not a brand we won’t service. Our skilled specialists bring all the spare parts they need to provide effective dryer repair service. We work hard to administer the fastest appliance repair in Chatsworth. 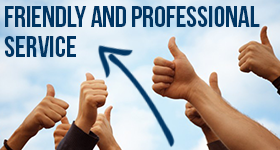 Our experts are prepared to provide effective service at an affordable price. We are focused and detail-oriented. We have one goal. 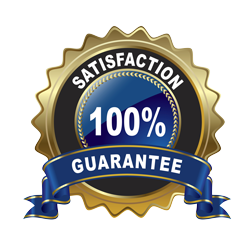 Our objective is to ensure complete customer satisfaction. Get in touch with us today for quality Chatsworth dryer repair and installation service.